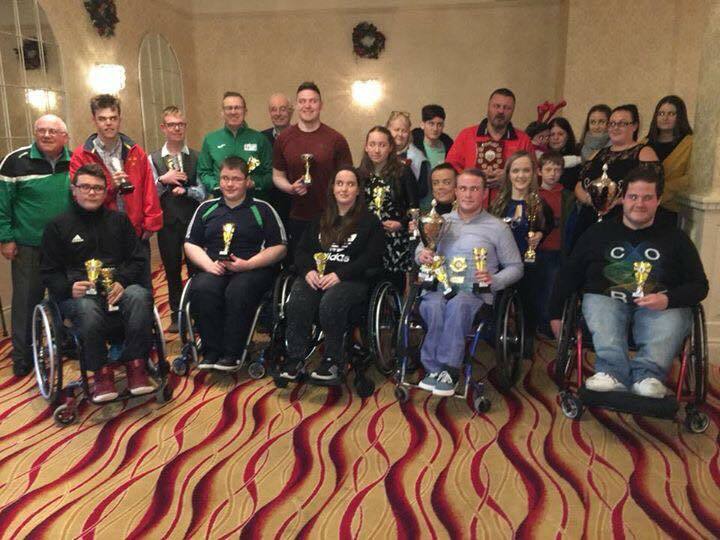 Ireland team to travel to the International Wheelchair & Amputee Sports (IWAS) games on in Portugal on the 30th November 2017. The Springhill court hotel in Kilkenny was host to IWA-Sport Athletic Grand Prix awards. Rebel Wheelers was again this year was well represented and took away some major awards. As well as the Athletes themselves we would like to thank their parents for years of driving them around the country. Also a special comment regarding the coaches, John McCarthy and Jean O’Sullivan who have dedicated a huge amount of time to our children. It must be noted that both are volunteers and we thank you for all your hard work.